The best color by number game & sandbox pixel art number coloring book in 2018! 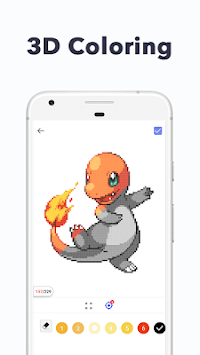 Enjoy creating anti-stress pixel art with Pixel Art: Pokemon! 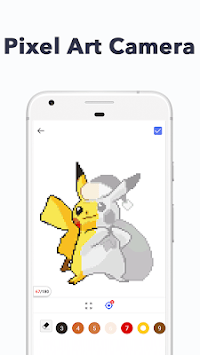 Pixel Art: Pokemon is the best app to color by number and draw modern masterpieces based on numbers! This sandbox style coloring game is popular all over the world for both kids and adults and we provide you with unlimited coloring pages! This pixel coloring book as an pixel art: Pokemon therapy helps you relieve stress and anxiety from reality. Whenever you want to meditate, relax and develop your concentration, just open Pixel Art: Pokemon and start drawing. 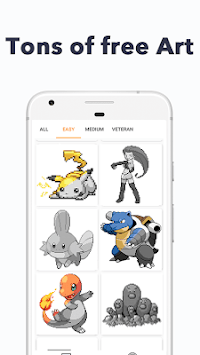 You will find so many free and fascinating pictures in Pixel Art: Pokemon, like flowers, animals and food, which suit for both adults and kids. - Easy to color: color pages according to numbers and the highlighted area. - Daily update: new pictures will be updated every day. Get notified to check the new arrival and start coloring. - Share with others: share with family and friends on Instagram, Facebook or other social platforms.